I’m so glad that you’re still there and touching so many lives in such an amazing way! We can never ever thank you enough for your help and guidance through the donor process! Take care and thanks again! I would like to share my fantastic experience with Julia and The Donor Solution. As a single male adult, my attempts to find a egg donor were anything but simple. The last 7 months, I selected “5” different” egg donors, only to have each one disqualified for various reasons; donor’s husband at the last minute changed his mind about allowing his wife to donate, donor failed an initial psychological exam, two donors failed their initial medical exams, and one donor “forgot” to show up for her initial medical exam. My surrogate agency and lawyer had referred me to The Donor Solution. The entire process with Julia was quick and painless. No heart stopping – emotional roller coaster surprises. Julia was able to address all of my concerns and questions. She was able to review the contract and all costs, in a user friendly manner – no summer theater drama. 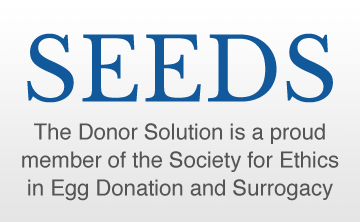 If you are in need of a egg donor, please review this agency. And if you are lucky, you may get to have Julia help you find an egg donor. This is B., I’m an egg donor and we’ve spoken a few times in the past! I just wanted to take the time to email you in regards to Julia French and The Donor Solutions! I cannot express my gratitude for her and you guy’s accredited program. It doesn’t matter how many obstacles others throw at her or how difficult others may be, Julia always finds a way to be reasonable and welcoming to the situation. 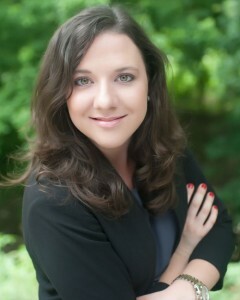 I truly appreciate her efforts and The Donor Solutions for putting forth that effort in their clients! Julia was seriously ALWAYS on her A game, I was actually quite impressed how she was so proficient, yet so endearing! As a health care professional and a busy woman myself, sometimes I found expectations a little unreasonable from other clinics or such, but you guys always helped work around it and made it worth it, which makes it mean so much more for some people! You guy’s ethic makes a difference and I want you to know that! If it wasn’t for ya’ll I wouldn’t be able to follow through with a cycle or deal with others lol… I feel like many people view this as college girls trying to make money, and may not respect that for some it means so much more and these are successful woman taking time out of their life’s to help others! And you guys help make it an even more beautiful process, so thank you for that ladies and have a blessed day! I do not know how to express my gratitude and appreciation to the both of you ladies. Thank you both for dealing with a “crazy” like me through these years while I was an undergrad and then in graduate school and always within a call or a text or email. You always made everything all better, ALWAYS. Cheers to my retirement. I wanted to tell you that I’ve made it past the three-month mark! I have been thinking of you and the donor often and I wanted to thank you both again. There are really no words to describe what you have done for us. We struggled for five years to get pregnant. You helped us pick the right donor and made our dreams come true. I feel so lucky every day that this is finally happening for us. We are so lucky to have met you, and will never forget you. You have changed our lives for the better. I want you to know that really don’t think I could be doing all of this without your steadfast help and support. Thank you! They say that buying a house is one of the most important financial decision you ever make so if you take the stress of that and combine it with the angst of finding the right egg donor you have easily got the recipe for a nervous breakdown. 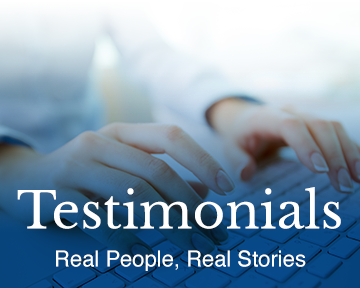 I have been through the ‘fertility mill’ over a period of four years now and have to say my experience with the donor solution was amazing. We opted for an egg donor and used a west coast agency that we found on line. Finding an egg donor is far from scientific and every few minutes you are tripped up by feelings and all the crazy stuff you have going on in your head. In short the experiences was disastrous. Not only did we not get a decent set of eggs for a single implantation but none for freezing and it seems we had picked a donor who had never been used before and did not deliver. It is really no ones fault but as you balance your desire for a child with your ability to afford one this way you cannot afford to make mistakes. We made them all. After one chat with Mary I felt I had known her for years. She totally got all the issues and anxieties and became a life line to me over the next few months. I got almost daily updates on the progress of my donor and felt totally connected with what was going on-this had not been our experience with the other agency and it was so wonderful to get this information as you are sitting hundreds of miles away hoping for your miracle. We have been successful and the egg we got was only part of the wonderful package of services we enjoyed.. I would whole heartedly recommend this service-there are too many pitfalls and Mary knows them all and you just know you are in safe hands. I felt the baby kick for the first time this weekend! She’ll be at 19 weeks on Thursday. We have an OB appt on Wednesday to check baby’s growth, organ development, etc. Will send you updated ultrasound images. We just want to say a big thank you for all your assistance. Our last donor was great, we appreciate her patience and endurance throughout the cycle. Mary we couldn’t have done any of these without your help. So my husband and I are using this medium to say a big thank you to you all for being part of these. You are awesome. Hope life is good in Houston. Just wanted to say thank you again, you are so awesome! I can’t tell you the number of agencies I called initially (notice I said initially) and no one came near providing the expert advice, service, knowledge, compassion professionalism that you did from day one.